MishMash has, in the storytelling style, made a unique interpretation of William Shakespeare's classic ''Romeo & Juliet’'. 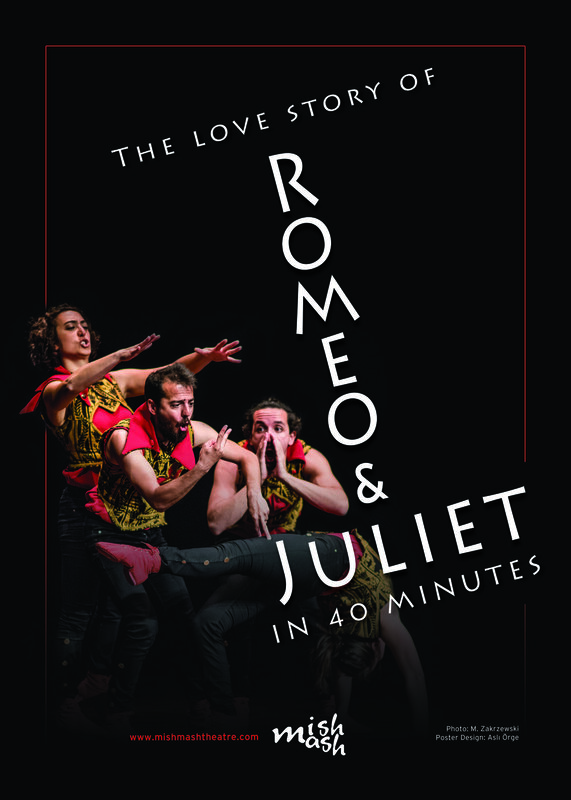 Romeo and Juliet -two joyless teenagers- meet at a party and fall madly in love with each other. However, the enmity between their families -Montegues and Capulets- makes everything very complicated. As the young lovers strive to hold on to their love, the course of events drifts them to the tragic end. 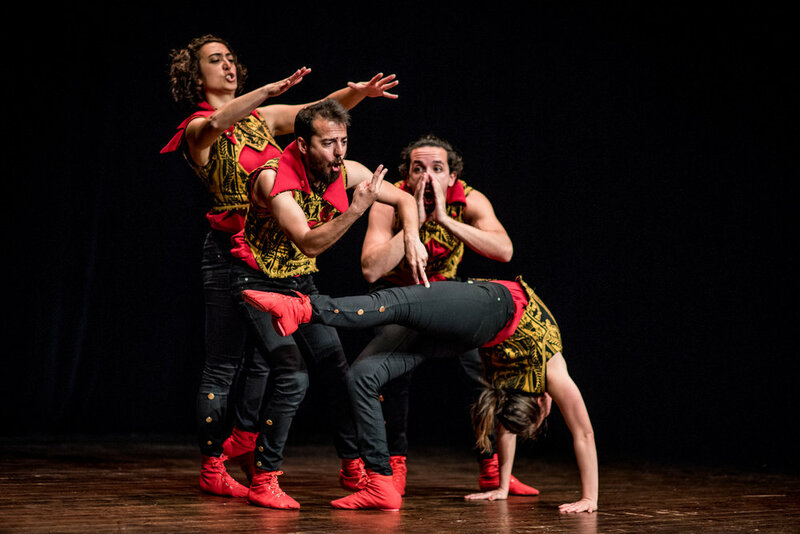 The modern approach of MishMash brings the opportunity to re-understand the profundity of Shakespeare's classic through the diversity of actors' skills, which oscillates from corporal mime to acrobatics, from tragic chorus to clown. Technical requirements: 6x6x3 meters of empty space.